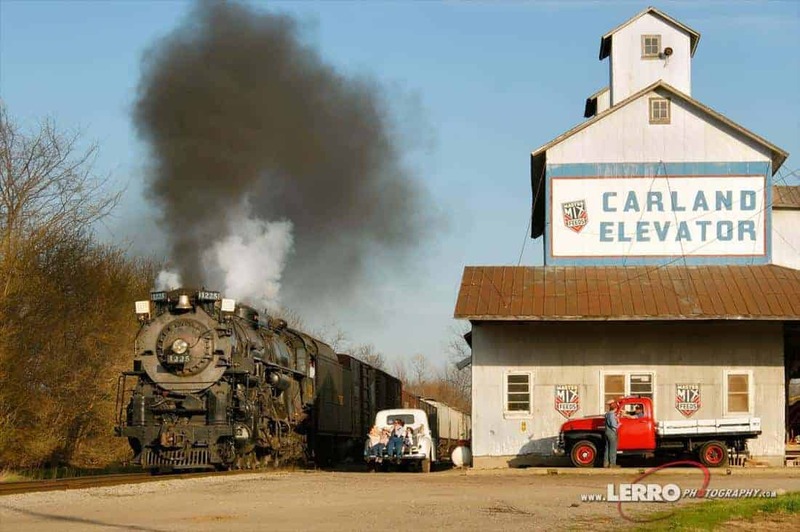 Pere Marquette 1225 is a large 2-8-4 Berkshire steam locomotive built in 1941 by Lima Locomotive Works in Lima, Ohio. It was retired from regular service in 1951 but was then fully restored in 1985 and began pulling excursions in 1988. 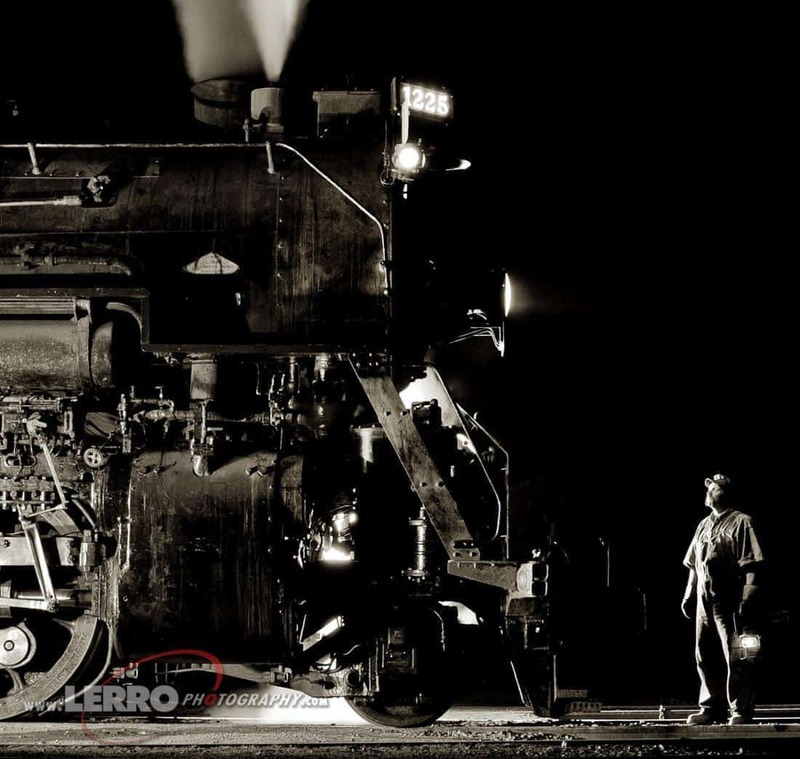 Join Lerro Productions as we charter and photograph the Pere Marquette #1225 with a matching passenger train consist. Our photo train will perform runbys through the scenic Michigan farms area around Owosso from sunrise to sunset each day. Night sessions will also be held each night. On Saturday night, a night session will be held out on the line and will be limited to 30 people. Sunday night will feature a Rosie the Riveter theme and will be limited to only 10 people. This will be a carpool chasing charter. We will not ride the train. It is highly recommended that you have a SUV, preferably with 4wd because of the likelihood of snow. 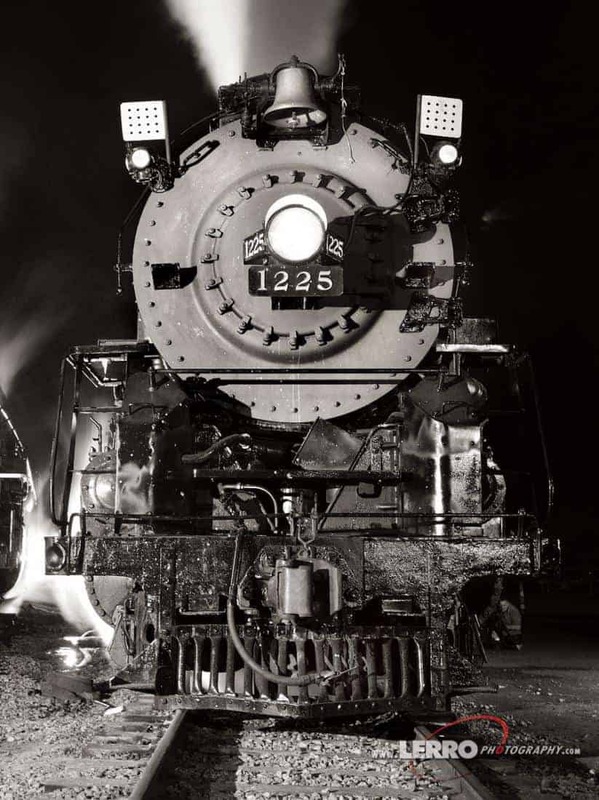 In addition to the Pere Marquette charter, we are working on another railroad photo charter in the area as well as a WWII aircraft themed photo shoot. More details to come. Our latest go/no go date is December 1st. If by December 1st, there are not enough tickets sold, the charter will be canceled. All tickets are non refundable after our go/no go date is set. If a patron can’t make the event after our go/ no go date is set, the patron must find someone else to purchase their ticket or the ticket charge gets credited to a future event. Lerro Productions does reserve the right to cancel a photo charter at their discretion. If the charter is canceled, Lerro Productions will refund the photo charter ticket price. All refunds will be issued by check only. The Credit Card Convenience fee is non-refundable regardless of patron or charter cancellation. Lerro Productions is not responsible for loss of additional expenses.